When a roll of radio telescopes is called, one emerges as the largest single antenna constructed, and that one would be Arecibo Radio Observatory in Puerto Rico. This facility, the result of a partnership between Cornell University and the National Science Foundation, boasts a spherical reflector with a diameter of 300 meters, a depth of 167 feet, and a detection range from 50 megahertz to 10 gigahertz. An interesting fact of note about this telescope is that it also contains a 1 megawatt radio transmitter, allowing direct radar observations of other planets. 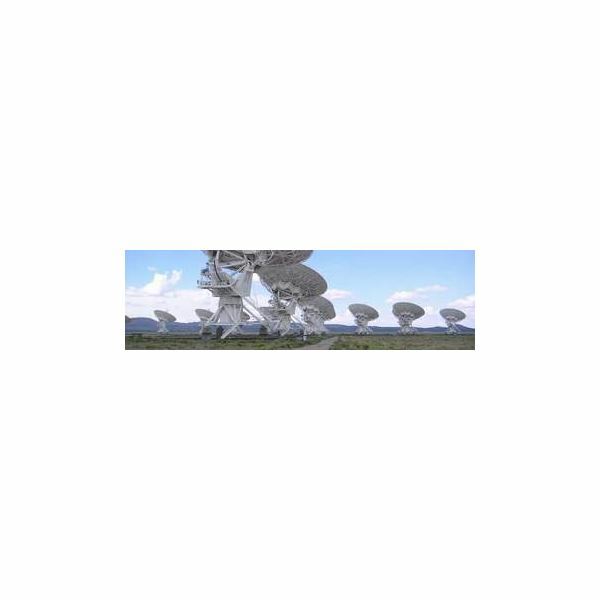 Instantly catapulted to fame through its appearance in the movie Contact, the VLA, or Very Large Array, is an interferometric radio telescope composed of 27 25-meter telescopes mounted on tracks. Though the individual telescopes are small, it has the equivalent resolution of a dish 22 miles in diameter and a sensitivity approximately half that of Arecibo. As if this weren’t enough, the Expanded VLA project will significantly improve on these numbers, with sensitivity improving by a factor of 5 to 20 depending on the frequency and better resolution by an order of magnitude. Though it is not an individual radio telescope or co-located array, the Very Long Baseline Array is definitely worthy of mention. Taking the interferometric technique employed in the VLA to the next level, it relies on 10 25-meter radio telescopes scattered throughout the United States and U.S. Virgin Islands to achieve remarkable performance. While impressive for its time (work was completed on the array in 1993), very long baseline interferometer networks with larger individual dishes are now in existence. Europe’s Very Long Baseline Interferometry Network, or EVN, for short, is comprised of 12 stations spread across Europe and Asia, with affiliated stations Asia as well as Europe; a subset of these have been connected via optical networking to allow for real-time VLBI observations. 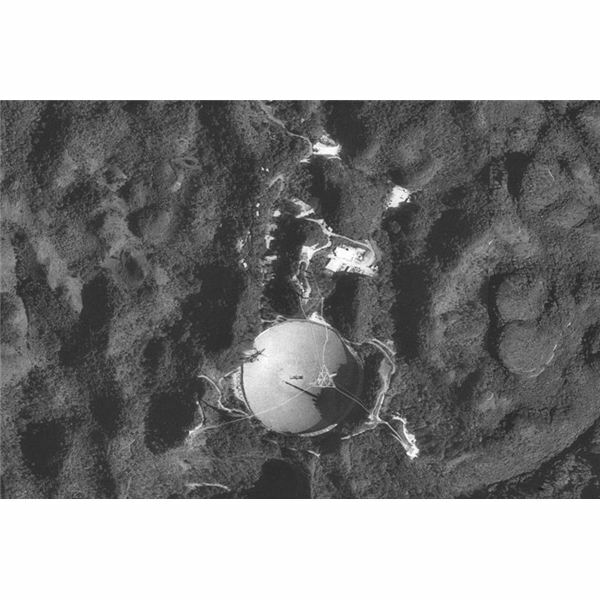 The inclusion of such radio telescopes as the 100 meter Effelberg telescope at the Max Planck Institute for Radio Astronomy allow it to boast an extremely high sensitivity and resolution. In fact, this network is likely the most capable single VLBI network in existence. The Atacama Large Millimeter/ submillimeter Array (ALMA) is a new facility being constructed in the high desert in Chile by Europe, North America, East Asia, and Chile . Consisting of up to 64 12-meter antennas when complete, it will outperform the VLA within its detection regime. In addition, its elevation allows it to see radio wavelengths close to the infrared that are blocked out near sea level. The Allen Telescope Array (ATA) constructed by the SETI Institute, is unique in that it is constructed of a large number of small (~18 foot) dishes that, combined, form a phased-array radio telescope. Because of the small size and relatively low cost of the individual dishes, the network can be expanded over time as budget permits. One interesting characteristic of this array is the large field of view- the ATA directly imaged these pictures of M31 Andromeda and M33 Triangulum.